AZ Shade Solution provides an option outside the box of traditional backyard shade products. We can offer options and versatility! The Infinity Canopy slide on wire system allows you to open and close it with little effort and allows you to replace or change fabric sections one by one at will. You can choose a solid or pattern of colors. All parts and materials are universally interchangeable and are low to almost no maintenance. Family owned and operated since 1989, we have established expertise in long-lasting aluminum patio structures that expand your outdoor living areas. Our crews are licensed in both Washington and Arizona and we are committed to the highest standards of professionalism and quality. This means that we maintain the accreditation, insurance, and licensing that provide you the protection and peace of mind that you deserve. Our goal is to earn your trust by giving you exceptional service so you will refer us to your family, friends, and associates. Benefits of Aluminum Patio Covers: Reduce Heat. Aluminum patio covers block the sun's rays and reduce heat while still allowing for 100% ventilation. Weather Protection. Patio covers and window awnings shield your patio, doorways, and windows from rain and snow. Little to no Maintenance. Long-Lasting Durability. Customizable. Finishes designed for Arizona's intense sun. Won't fade or flake like stain or paint. Arizona Backyard Custom offers custom firepit tables, custom firepits, and custom fire features for homes and businesses. Our products are all custom built to order; if you can dream it, we can build it. Our designs have been featured in restaurants, bars and hotels all over Arizona. We work with you to build the custom firepit table of your dreams. Visit our site to see where our installations are located in some of the top restaurants and resorts in AZ. We strive to design and construct the BBQ grills and outdoor eating areas in the industry. We'll be sure to eliminate all of the problems you have when trying to find a trustworthy professional to design and build a project for your home. We'll find solutions and create a comfortable relationship in order to bring your project to life. Featuring a variety Suncontrol products, and Specializing in large Custom made Ziptrack patio sunscreens and retractable awnings. Supplier of shade products which can span large openings. Havana Shade is Arizona's premier suppler of The Super "Ziptrack" shade system which can seal off a patio opening on all 4 sides creating virually a new room to enjoy. Our motorized "Ziptrack" system protects your patio from Sun, Dust, Bugs, and Wind with a push of a button! Large slider doors over 16 ft we have the screens for these projects also. Since 1982 Booth Built Patio Products and Sunrooms has improved more than 5,000 homes right here in the Valley of the Sun. Booth Built Patio Products and Sunrooms seamlessly handles all permits, engineering and works with all Homeowners Associations (HOA) in the communities. The “Do it Right the First Time” policy has kept Booth Built Patio Products and Sunrooms as the forefront for Arizona Patio Shade and Arizona Patio Enclosure Builder. Robert Mulvin is a Phoenix native who has been involved in the sunscreen industry for 19 years He has grown a one man show into one of the largest manufacturing and installation screen and patio shade and awnings businesses in Arizona. 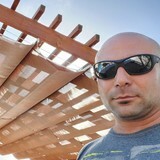 Robert has a vested interest in each job that All Pro Shade Concepts LLC. completes to ensure they are to his satisfaction. Shade Concepts is a registered contractor with the ROC AZ and a member of the Better Business Bureau with an A+ rating. Please feel free to contact us for a free consultation by either calling the numbers listed or completing an on-line request! Outdoor Cooling Misting. Local family owned business. We manufacture, install and provide services to repair and maintain pumps, motors, tubes and nozzles for misting systems. Our original business “Pressure Systems Inc. (PSI)” started in Phoenix, Arizona in 1965. We added MistAir in 1989. We have thousands of happy clients all over the state of Arizona and the Southwest. Deck Service Inc is a family owned and operated business that has served the Valley of the Sun for over 28 years. We are second generation decking specialists here in Phoenix since 1957. We are your swimming pool deck repair and restoration specialists proudly working with and carrying Kooldeck and Koolstone®. Our goal is to make your restoration project look brand new, not just redone. Deck Services, Inc. focuses on artistic quality combined with excellent craftsmanship to create a unique pool deck or patio for your pool area. Koolstone® is an excellent product that is not only beautiful, but high-performance. It has the feel and look of real flagstone but is made to be extremely durable, cool to the touch, and non-slippery. We are licensed, bonded and fully insured with the AZ Registrar Of Contractors. Everything starts with a high pressure pump, specifically designed and geared for long-term low energy use. We have been working with high pressure pumps since we started our sister company “Pressure Systems Industries” in 1965. MistAir AZ was added in 1989 and ultimately evolved into a sister company after working with thousands of happy clients across the state of Arizona and the Southwest. MistAir AZ is locally- and family-owned. Our water mister systems are made with high-quality pressure pumps, specifically designed, and geared for long-term, low-energy use. Our high pressure pumps allow us to get the finest mist which allows faster evaporation promoting cooling and keeping the area dry. Each tube has specially designed nozzles that release the water in a micro-fine mist. “Flash Evaporation” occurs when water is forced through micro nozzles, creating a super fine mist. The mist makes micro-droplets of water, creating more surface area per gallon, and creating the most effective evaporation. The mist almost instantly evaporates, removing the heat, odors, airborne particles like pollen and dust, and even insects from the air. Outdoor temperatures are instantly reduced, and it feels like the air is 20-30 degrees cooler. 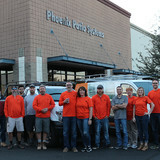 After 25+ years as a registered contractor in Phoenix, with over 7,500 commercial and residential water mister (high pressure misting) installations in place, we’ve learned how to make everything simple and easy, for you. Every aspect of your project is controlled and managed under one roof. One call does it all! We custom design, engineer, and manufacture misting systems in our Phoenix location. We have a complete in-house parts department for high pressure water misters, pumps, mist lines and cleaning solutions for mist tips (nozzles) so you never have to wait for parts!! We have a fully staffed service and repair department that handles repairs, maintenance, and seasonal start-ups and shut-downs. Our in-house engineering department – pioneered the the concept of the long-lasting, low maintenance “Happy Pump” and the Mist Air Perfect Mist Nozzle Systems. We wake up every morning thinking about how to make people and animals’ lives more comfortable. When it comes to combining form and function with your outdoor bar, Galley Islands outdoor bars set the standard. Their attractive appearance will compliment any outdoor setting, and their ease of use and mobility will have you wanting to use your Galley Islands outdoor bar again and again! Oasis Patio Cover offers the highest quality product for all your sun control needs: Lattice Pergolas, Patio Covers, Sun Screens, Roll Down Shades, Awnings, and Seamless Rain Gutters. We are also the only company in the state of Arizona offering DIY (do it yourself) kits for purchase. What services do deck and patio builders in Phoenix, AZ provide? To help you choose the ideal style, configuration and materials for your deck or patio, your deck and patio contractor will survey your Phoenix, AZ lot and your home to come up with a design that complements your exterior as well as being structurally sound. He or she will recommend sizes, heights and construction materials that suit your lifestyle and climate, as well as explain the best stain or finish options. Additionally, deck and patio professionals can provide insight into additional components such as outdoor kitchens, patio covers, fire pits, outdoor lighting, arbors and more. 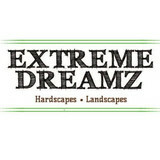 Your deck and patio professional might work closely with another Phoenix, AZ lawn and landscape professional. Here are some related professionals and vendors to complement the work of decks, patios & outdoor enclosures: Landscape Architects & Landscape Designers, Garden & Landscape Supplies, Stone, Pavers & Concrete, Landscape Contractors, Building Supplies. Find a deck and patio builder in Phoenix, AZ on Houzz.